Sign Concepts' success is attributed to old world quality while embracing corporate standards and practices. At Sign Concepts, our policy is to have a 24 hour response time for all service calls – warranty or billable. 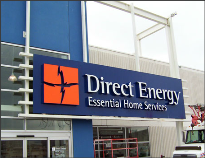 Dependability is extremely important in our line of work and it is why we were able to do a major transition for Direct Energy of 60 stores in only 6 weeks! We are truly a one stop shop where your signage can be designed, built, installed and maintained by a team of highly skilled craftsmen - a team that truly understands your needs and is familiar with the entire lifecycle of your signs. 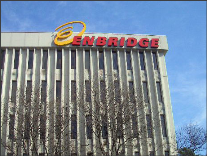 This is how we were able to launch retail outlets for Enbridge nationwide and it is also how we were able to deploy all signage for Sprint Canada's re-branding with ease. Whether your business is large or small, it will be well serviced at Sign Concepts so look no further for your signage needs!